Additionally, all 2019 Ski-Doo Summit and Freeride models have updated pulley calibration. 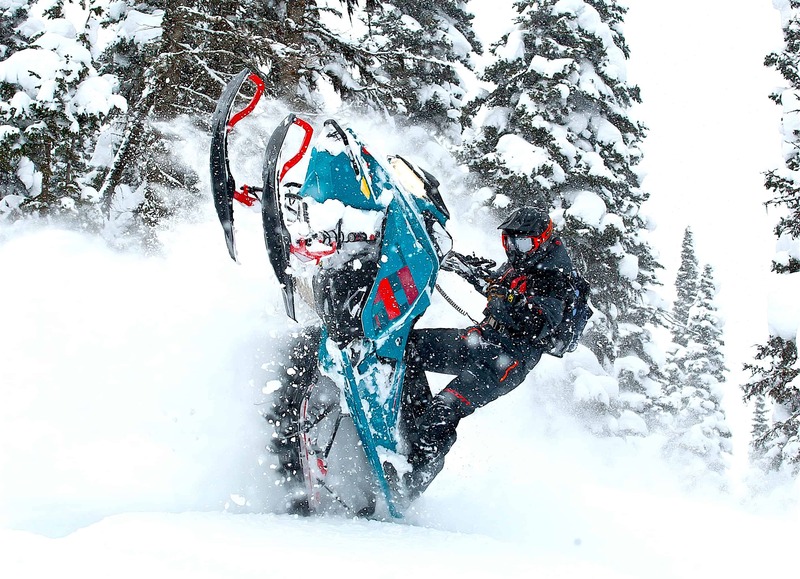 You may remember several updates were announced around this time last season with the goal of reducing CVT temperatures and improving belt life on select REV Gen4 Ski-Doo snowmobiles. While those efforts were successful for the majority of Ski-Doo riders, we still fell short on our product promise to a few of our valued customers in specific riding conditions where too much engine movement caused a different type of belt issue. The applicable solution depends on where you ride, and the unit’s altitude calibration. ● Install engine mount update kit. We know you may still have some questions, and we’ve tried to address many of them in the following Q&A section. If you have further questions, your Ski-Doo dealer is equipped to assist you. Thank you for your loyalty and patience as we continually improve to deliver the best experience on snow. 1- What is the potential problem? The drive belt is a wear item that needs replacement at regular intervals. However, some units under specific riding conditions, may experience premature drive belt failure. 2- Which models are involved? The 2017 and 2018 Summit and Freeride models not registered. Some 2018 Summit and Freeride models registered. 3- What will BRP do? The fix consists of new, stiffer engine mounts on both PTO and mag side, as well as new clutch calibration parts. 4- What should I do? Contact your dealer to set up an appointment. 5- What does “select” mean when you say “To select Ski-Doo REV Gen4 owners who experienced premature drive belt failure, we have been hard at work on a solution.”? The select units that are included in the warranty campaign have a documented premature belt failure. Either a warranty claim or WebCase has been logged to BRP in the last season. 6- I have experienced a premature belt failure last season, but I’m not included in the warranty campaign. How can I be covered for the upgrades? Please contact your dealer so BRP and your dealership can evaluate it for potential consideration. Bring any supporting document, such as belt invoices, to support your request. 7- I’ve had multiple belt issues last winter. How can I get a definitive fix? 8- BRP had belt issues on 2017 models, supposedly fixed for 2018, but it wasn’t. How can you be sure that the new fix will work? The initial problem with 2017 models was related to excessive heat in the engine and CVT compartment. This was addressed on 2018 models, but the failure that surfaced thereafter, in specific riding conditions and altitudes – and to a much lesser degree – was related to engine movement and clutch clamping force. The failures seen in the 2 years were not the same. Although BRP firmly believes the premature belt failure is addressed, the belt remains a mechanical fuse in the drivetrain system, extreme use can result in belt failure in such circumstances. 9- Will BRP cover my failed belts? If it is possible to validate that you experienced premature belt failures last season related to excessive heat in the engine and CVT compartment (for Model Year 2017) or related to engine movement and clutch clamping force (for Model Year 2018) please contact your dealer so BRP and your dealership can evaluate it and come back with an answer. 10- I’ve experienced this issue on my Renegade. Why isn’t BRP doing anything for me? BRP, on an exceptional basis, covered belt failures last year in order to accelerate our investigation process. It was determined that failures were due to engine movement, seen mainly in Mountain snowmobiles. Please be aware that belt failures may be caused by other issues also. We suggest that you visit your dealer for proper and complete diagnosis related to your specific situation. If the failures you’ve experience can be validated, BRP and your dealership will evaluate and consider assistance on the available solution (engine mounts). 11- My belt wear was OK, but still, I want to make sure my snowmobile has the latest upgrades to avoid any failure in the future. What should I do? Contact your dealer to discuss the situation. Since belt failures were localized in very specific conditions (altitude, snow condition & riding styles), the proposed fix may not be required, or even desired, for your situation. Consider that the fix has some impact on engine vibration levels, being slightly higher at low RPM, and a slight change in throttle response, due to the new calibration. 12- My Model Year 2017 sled was supposedly repaired last winter, but I still had belt failures. How can I get the new fix? Contact your dealership to set up an appointment. 13- How about consequential damage for the failure such as my CVT cover and the bent body parts from those blown belts? If it’s determined the belt failure was abnormal, the belt itself as well as consequential damage may be covered by BRP. In the case of an extreme situation, your dealership will contact our technical experts at BRP on a case-by-case basis for guidance and evaluation assistance. 14- How do I know these blown belts haven’t affected my engine’s durability / longevity? The Rotax 850 E-TEC is a proven, solid engine with significant engine protection measures built into the Engine Control Unit. We are confident that a belt failure will not cause engine damage. 15- Is there any plan if the fix provided doesn’t work to owner’s expectations? BRP firmly believes the premature belt failure is addressed, the belt remains a mechanical fuse in the drivetrain system, extreme use can result in belt failure in such circumstances. 16- I notice that this is only mentioned for Mountain sleds. Will trail riders be taken care of as well? For the 2018 season, the vast majority of belt failures were experienced by Mountain units. Trail units experiencing belt failures can still get the engine mount upgrade. If the failures you’ve experience have been documented (invoice, Case), BRP is able to have a special consideration for assistance on the available solution. 17- Is this update going to be a recall or going to cost us 2017 owners more money on Top of what we already paid for the sleds and belts for this season? The solution available is for 2017 / 2018 Mountain units that have a documented failure in the 2018 season. It will be covered under a warranty campaign, therefore at no cost to the customer. 18- How long does BRP consider a “normal” belt life should last? Belt life is highly dependent on multiple factors: riding style (RPM, speed, and engine load profile), riding conditions (altitude, snow, temperature), clutch calibration, etc. Some riders have ridden 15,000 km (9,300 miles) this season on the same belt on their 850 whereas some riders change their belt every 1000 km. If you’ve experienced multiple unexpected failures at low mileage, and you have not changed your riding style, please contact your dealer for a proper diagnosis. 19- I’m thinking of buying a 2019, will the belt problem be fixed? Below is a summary of the model year 2019 updates. There are some specific configurations, please refer to your dealer for the details of a given model. ● New Engine Mount (PTO side). ● New Engine mounts (MAG and PTO side). ● All Summit and Freeride 850 E-TEC models receive new pulley calibrations (sea- level and high altitude). 20- Is the built-in clutch offset/wobble a contributing factor to this belt issue? It seems like that was a poor attempt to address this. BRP has been using a Patent Pending technology on the pDrive clutch to reduce vibration felt by riders of Rotax 850 E-TEC powered sleds. This unique new solution adds no weight but solves the vibration issue many large displacement two-cylinder snowmobile engines experience. The built-in offset was very purposeful in reducing vibration and is not any kind of factor in premature belt wear. 21- I’m considering buying a new non-current Summit/Freeride – will my sled have the updates done to it? Yes, all unregistered 2017 and 2018 Summit / Freeride units are included in the newly released warranty campaign to get the latest upgrades. 22- If I buy a used Summit/Freeride and experience belt failures, will I be able to have the updates done? 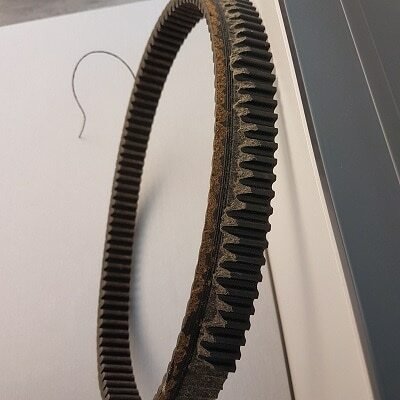 If you experience premature belt failure, we suggest that you visit your dealer for proper and complete diagnosis related to your specific situation. If the failure you’ve experienced can be validated, BRP will assist on the available solution. 23- You have a new ventilation system on the 2019 mountain sleds, why is that not being offered as part of this update program? The 2019 ventilation is a product improvement, similar to the ventilated drive pulley sheave introduced on 2018 units. It was not part of the solutions offered at the time to 2017 units.